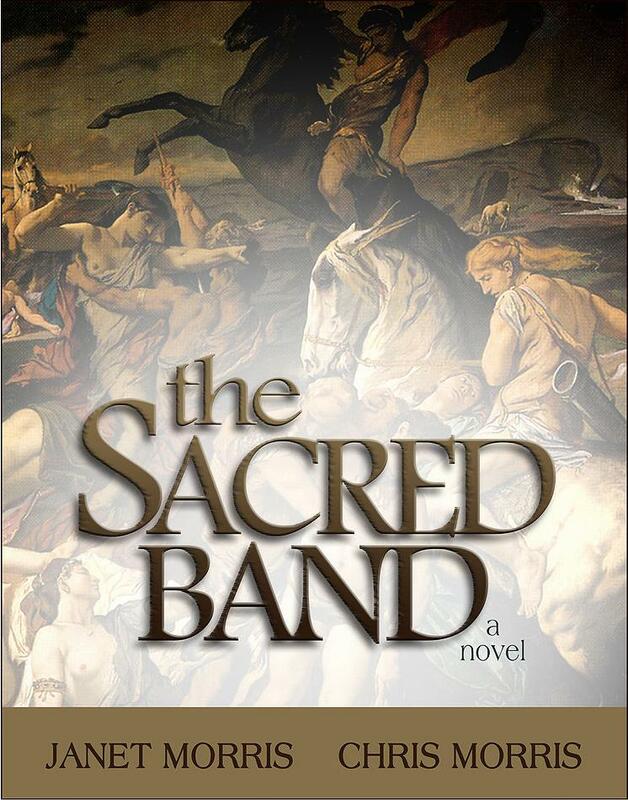 Check out the latest review of the Sacred Band story, A Man and His God, here. 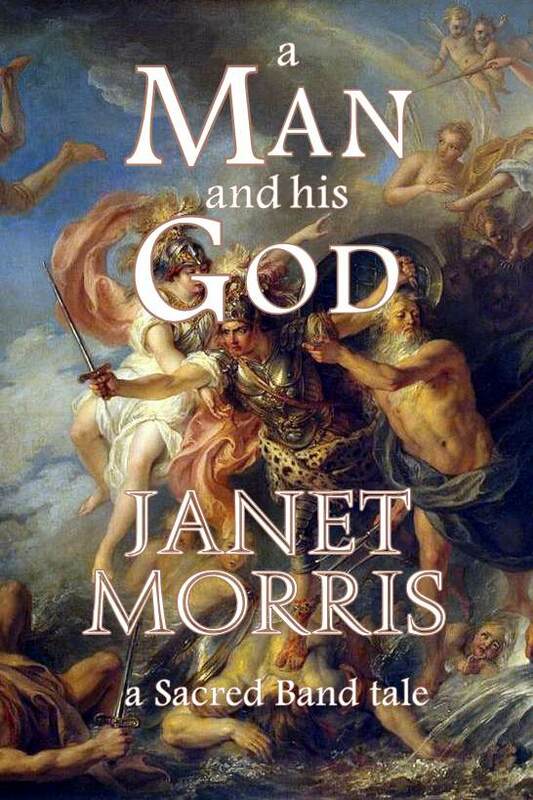 Below is a description of the story which is available as an E-Book for Kindle at Amazon. 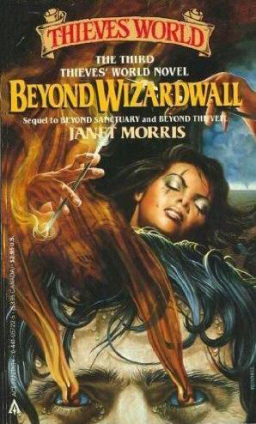 This landmark short novel contains what may be the first male/male kiss in modern fantasy, and was widely reprinted, after appearing in somewhat different form in Thieves’ World®, in the Science Fiction Book Club, two Issac Asimov collections, and the Baen Book “Tempus” by Janet Morris in 1987 and then published as part of the re-issued book, Tempus With His Right-Side Companion Niko, by Paradise Publishing © 2011. 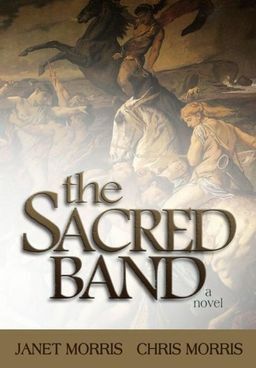 Now you can own the story as a stand alone e-book edition for Kindle at Amazon, and learn about the origins of The Sacred Band of Stepsons. 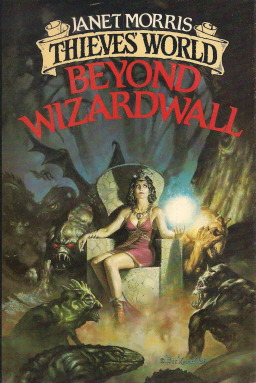 It’s an excellent story as an introduction to the Sacred Band Universe for those new to the series, and also for the die-hard long time fans who wants to collect all the stories, as this version is the author’s cut with new edits and material that makes it different from earlier editions. 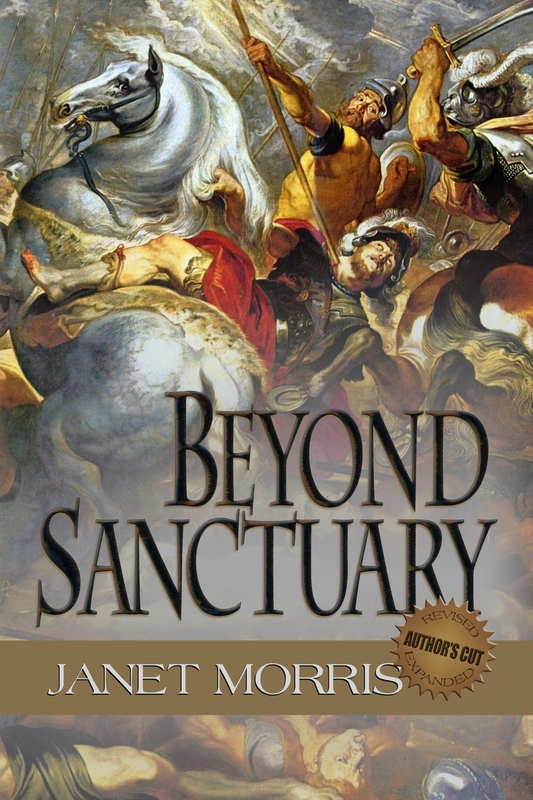 Ride with The Sacred Band of Stepsons on this epic early adventure and discover the origins of this mythic cavalry military unit. 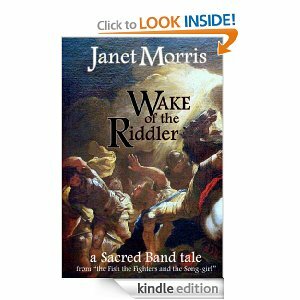 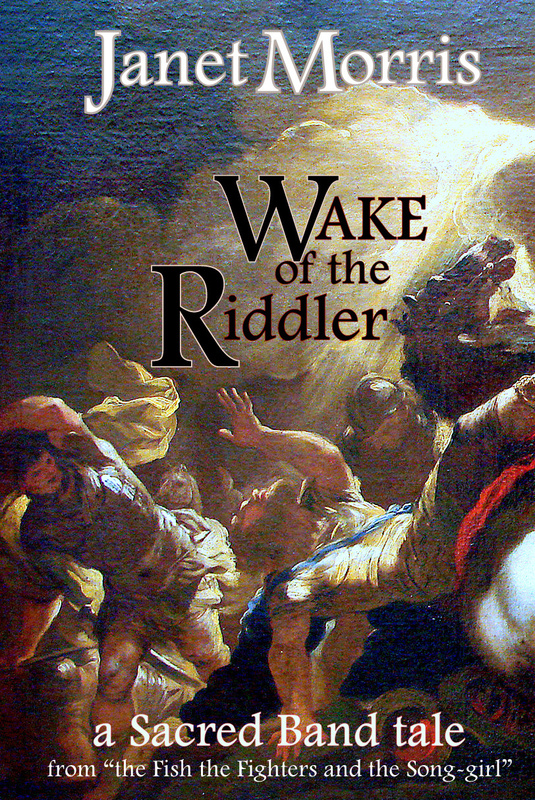 Today only, you can download the canonical novella, “Wake of the Riddler,” by Janet Morris. 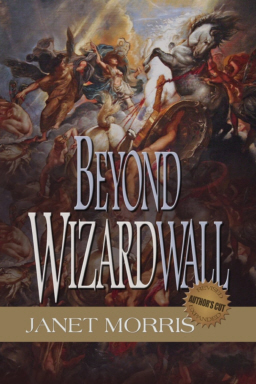 This “Author’s Cut edition has been completely revised and expanded by the author. Meet Tempus’ daughter, Kama, as well as Straton’s ghost-horse. 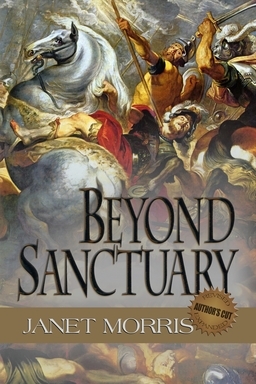 Find out how Sanctuary(R) lost its magic, and fight your way through undeads and wizards and witches and more. 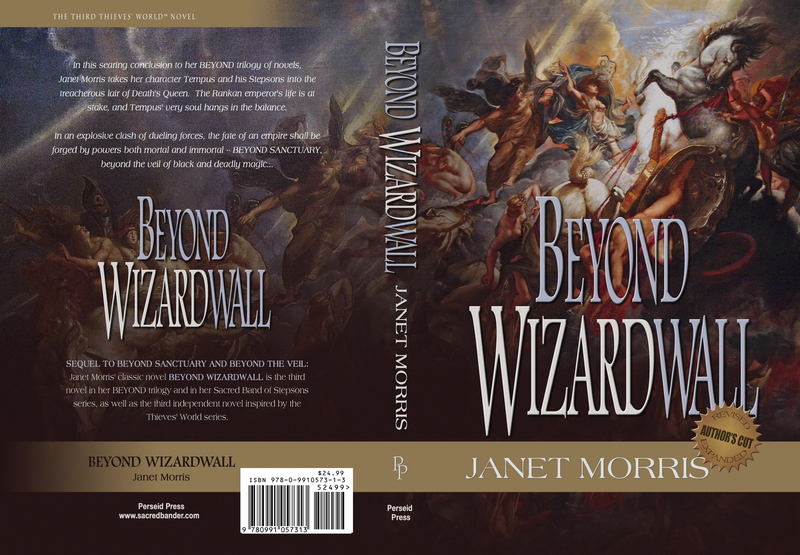 Available today only, go to Amazon and claim your copy now.